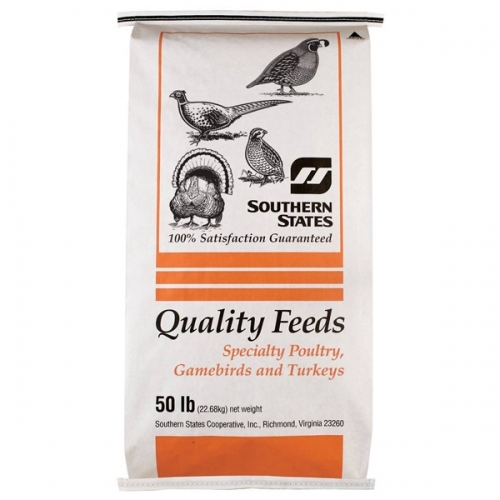 Southern States Chick Start-N-Gro Medicated Crumbles is a complete starter feed for egg (replacement) and meat-type (broiler) chicks. Chick Start-N-Gro features a crumbled form that will prevent micronutrient separation and ensures that particle size is optimal for consumption. This special formula contains Amprolium, which aids in the prevention of coccidiosis. The only feed needed from hatch to 16 weeks, Chick Start-N-Gro comes in a convenient 50 lb. bag.